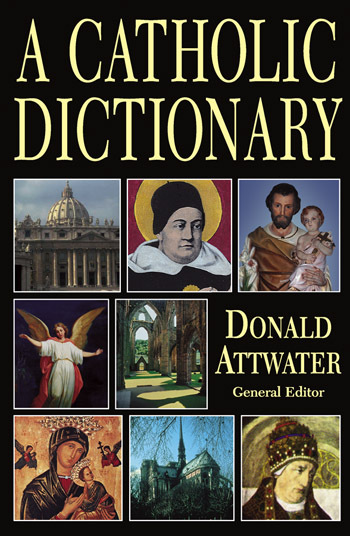 A Catholic Dictionary is on of the most valuable Catholic books ever published and is a goldmine of information with over 5,000 entries explained briefly, clearly and authoritatively, all in an easy to use format. This famous book focuses on the essentials of each topic, giving facts, definitions and the Church's traditional teaching, making clear distinctions, without confusing the issues with speculation, trendy opinions, compromise of dissent. This book went through several editions starting in 1931 and continuing through 1961. Entries and topics include: Celibacy of the Clergy; Islam; Byzantine Rite; Infallibility; Hair shirt; Halo; Capitol Punishment; Just Price; Sin against the Holy Ghost; Contemplation; Democracy; Heresy; Devil; Consecration at Mass; Conscience; Rights of Animals; Invocation of the Saints; Paganism.